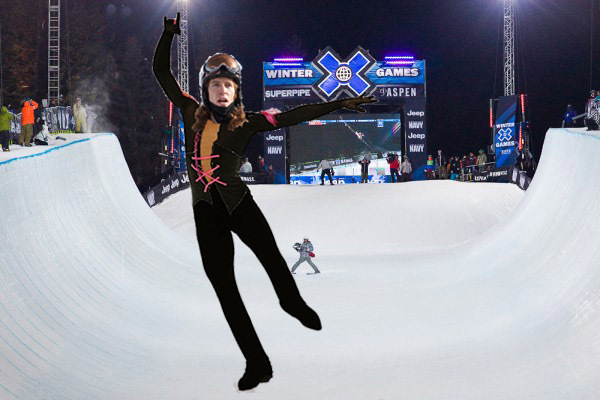 We didn’t get to see Shaun White’s new all-black X Games 15 halfpipe costume last night, but we certainly hope he wears it again in the finals. We want to see it in action. He’s definitely kicking halfpipe fashion up a notch this year. Follow jump to see it the details. Shaun White is awesome. He is the best snowboarder ever and could care less about all the haters. Seriously….Shaun White is classic. Right on!!! That would be amazing if he dropped in wearing that! Then He and Johnny could go out for a drive in his Lamborghini. I give anyone major props for competing in an outfit like that…in any sport. wow. that is so Johnny Weir. Are they like, best buds now? dont be hating, if you guys arent diggin his style, too bad! hes here to stay! Terje is the best snowboarder ever. 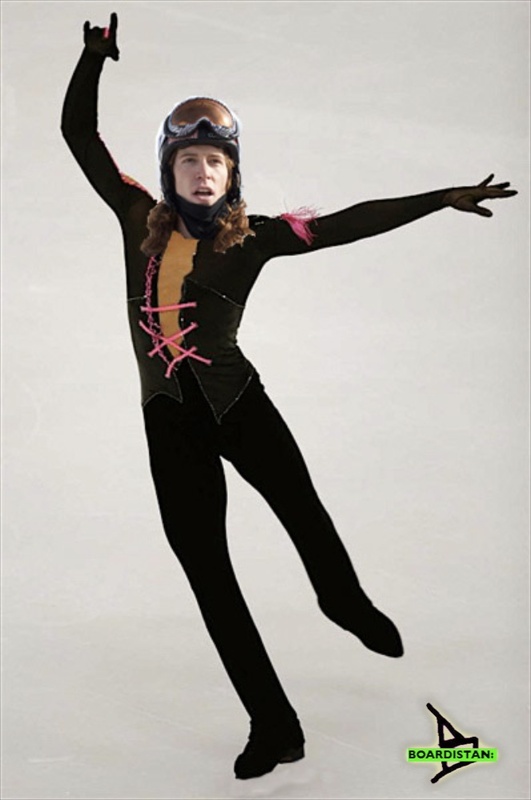 Shaun clearly has a bright career ahead of him as a figure skater, though.